The Radical State Supreme Court? Three cases reveal the court overruling precedent while claiming it isn’t. Three cases recently in the news illustrate the odd thinking processes of the Wisconsin Supreme Court’s majority. Although the cases deal with very different subjects, all three manage to overrule historical precedents while claiming consistency with these precedents. The first is a case that tests the right of a criminal defendant to represent himself (called “pro se”). In 2006, Rashaad Imani was tried and convicted of armed robbery and carjacking and sent to prison. During the course of his trial Amani asked to fire his lawyer and represent himself. conduct a colloquy designed to ensure that the defendant (1) made a deliberate choice to proceed without counsel, (2) was aware of the difficulties and disadvantages of self-representation, (3) was aware of the seriousness of the charge or charges against him, and (4) was aware of the general range of penalties that could have been imposed on him. The issue here is that the Wisconsin and US constitutions both guarantee the right to counsel, but also the right of the accused to act as his own counsel, so long as the decisions is “knowing, intelligent and voluntary,” and the defendant has the mental capacity to make an informed decision. Based on the lack of the required colloquy, the state Court of Appeals ordered a new trial. The State appealed that decision to the Wisconsin Supreme Court. 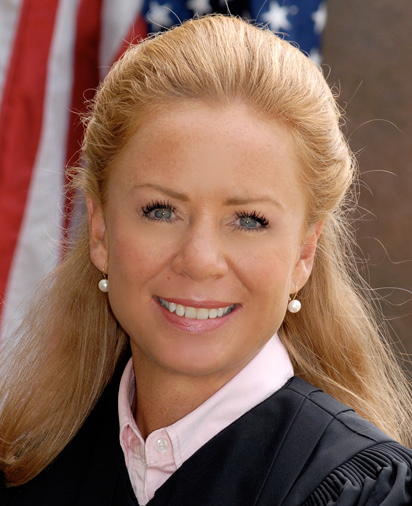 The high court, in a decision written by Justice Annette Ziegler, reversed the appellate court’s decision and upheld Imani’s conviction. Justice Patrick Crooks wrote a dissent from Justice Ziegler’s opinion in which he was joined by Justices Shirley Abrahamson and Ann Bradley. The second recent case involved a state law that banned Milwaukee’s residency requirement. The law had been overturned by the state Court of Appeals but that decision was then overruled by the Wisconsin Supreme Court. The decision was written by Justice Michael Gableman, who was joined by Justices Ziegler, Rebecca Bradley, David Prosser, and Pat Roggensack. The dissent was written by Justice Ann Bradley and joined by Abrahamson. The essential issue was whether “statewide concern” was satisfied by uniformity. The majority decision claimed it did: “The Legislature has the power to legislate on matters of local affairs when its enactment uniformly affects every city or every village, notwithstanding the home rule amendment.” In other words the legislature could outlaw Milwaukee’s residency requirement so long as it did the same to every village and city in Wisconsin. Instead of freeing municipalities from interference by the legislature when dealing with local affairs, the majority limits the power and restrains the ability of municipalities to self-govern. … the majority grants extensive power to the legislature to interfere with matters that relate exclusively to the local affairs of Wisconsin’s cities and villages. It does this by contravening the well-recognized purpose of the Home Rule Amendment, ignoring the evidentiary record, and creating a heretofore unknown facial uniformity rule. … the majority’s analysis of the Home Rule Amendment threatens to give license to the legislature to invade any city it chooses with legislation targeted at matters of purely local concern. … the legislature of Wisconsin is gradually but surely taking away the rights of municipalities to govern themselves. The matter has reached the point today where democracy is in danger of being replaced by imperialism. This quote could fit today’s legislature, but it dates from 1924, when the home rule amendment, drafted by Daniel Hoan, was under consideration. However, after explaining in considerable detail why the majority misinterprets the home rule amendment, Rebecca Bradley makes a U-turn and agrees that it does indeed address an issue of state-wide concern, because the legislature says it does by stating: “The legislature finds that public employee residency requirements are a matter of statewide concern.” In short, all a legislature need do is declare something is a statewide concern and it thereby becomes subject to any laws it wants to pass. As with the Imani ruling, this decision effectively makes part of the Wisconsin Constitution–the home rule amendment–meaningless. If the legislature disagreed with a decision by a city or village, it could overrule that decision simply by (1) declaring the subject a matter of “statewide interest” and (2) applying its rule statewide. The third of these decisions ended the second John Doe investigation. Since I have written extensively about this case, I will only briefly summarize it here. Doe II was an investigation led by the Milwaukee District Attorney’s office of coordination between the Scott Walker campaign for governor and various supposedly independent conservative groups. The state Supreme Court ended the investigation by declaring that the state law treating such coordination as a contribution to the candidate is unconstitutional. 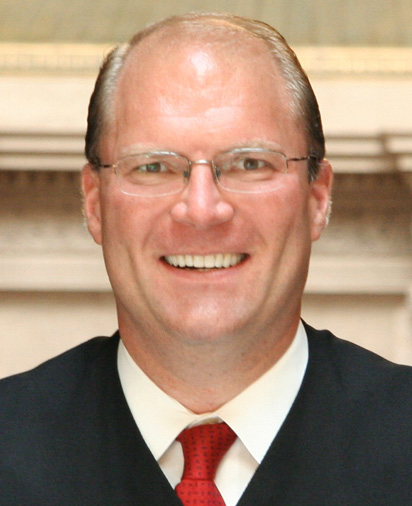 The decision by Justice Gableman declared that “the special prosecutor’s legal theory is unsupported in either reason or law.” Yet the legal theory that Gableman so readily dismissed was part of Wisconsin law, was part of federal law—and still is—and was repeatedly referenced by conservative US Supreme Court Justices as a reason that other limits on independent spending could be safely eliminated. In each of these cases, the Wisconsin Supreme Court ended up ignoring the constitution—federal, state, or both. Its Imani decision accomplished the remarkable feat of violating both constitutions. Its residency requirement decision guts the Wisconsin Constitution’s home rule amendment. Its Doe II decision substituted its judgment for that of the US Supreme Court by saying that regulating coordination between candidates violated the US Constitution. This has become a very odd court indeed. Rebecca Bradley’s opinion is not “oddly inconsistent”. All of her opinions are inconsistent, so there is nothing odd about it. What is more noteworthy is how embarrassing it is for a state supreme court to be so off base that a federal court of appeals would actually overturn them. We now have the functional equivalent of a deep south state court in the 1950’s. Its a laughingstock. But at least we vote for them. Its not like they bought their elections or anything. I will be more blunt than Matt. The seats occupied by Ziegler, Gabelman, and Becky Bradley were all bought – largely with dark money. The only justice we can expect from our current state Supreme Court will result from our federal Supreme Court over-ruling it. Thanks again, Bruce, for doing good homework on this piece and for taking the time to write it well. Ziegler can be fired in 2017 and Gableman in 2018, which would restore an integrity-based majority to the Court (well, if John Doe doesn’t get them first). It needs to be done, for the good of the state. Bruce, thanks for covering this. The court is main stream, just cause it is not ultra left to help the Unions who are only about 10% of Wis. does not mean it is any ultra group. WCD of course a conservative believes the court is mainstream. Why wouldn’t you when you agree with 99% of their decisions? “The legislature finds that public employee residency requirements are a matter of statewide concern.” In short, all a legislature need do is declare something is a statewide concern and it thereby becomes subject to any laws it wants to pass. The Legislature essentially did the same thing when they redrew the map lines of Milwaukee’s historic lake bed (at Abele’s request) to allow the sale of the Transit Center and other land governed by the Public Trust Doctrine. A lower court judge agreed the original lines were indeed accurate but gave the Legislature a pass by telling PTD defenders they would have to prove the Legislature did not act with good intentions. If the Legislature pleads “good intentions” they can override any precedent or law, even in the constitution. And it’s clear that the current Supreme Court, “the best money can buy,” will uphold those flimsy but good intentioned new laws. Just like in the good-ol’ boy South. And if the state elects left leaning justices in 2017 and 2018 we’ll see the same thing but for the other side… does this really surprise anyone? The partisanship from the courts at all levels of both state and federal level is very disappointing. Nope it’s not surprising. It’s just amusing that WCD sees the court as mainstream. I think he means centrist but with him who knows.